Build Your Career with an Online RN to BSN! Our Nursing (RN to BSN) program enhances the career goals of the registered nurses through professional study. The program provides an in-depth exploration of evidence-based practices and prepares student to become an effective nurse clinician capable of sound clinical judgment in a variety of healthcare settings and in the community. The BSN degree can help you move up to a supervisory role or build a solid foundation to become a clinical nurse specialist, nurse practitioner, nurse anesthetist, or nurse-midwife. 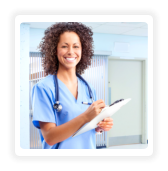 If you are a registered nurse with a valid United States RN license and you want to advance in your career, the online RN to BSN program may be the right choice for you. Combine the convenience of online learning with engaged faculty and supportive advisors who are focused on helping you reach your educational goals. You can be full-time or part-time, whichever works for your schedule.